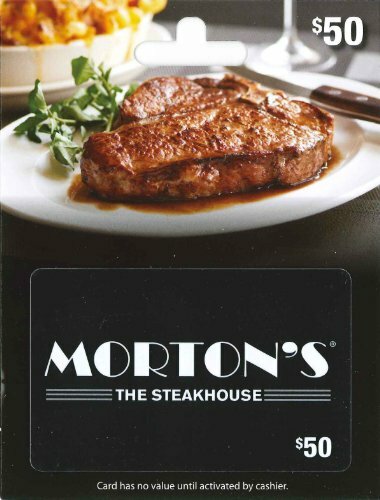 For over 30 years, Morton’s Steakhouse has been on a mission to provide “The Best Steak… Anywhere.” Morton’s looks to provide not only the best cuisine, but a memorable experience as well. With fresh, succulent seafood and their famed USDA prime-aged steak, it’s no surprise that Morton’s has consistently thrilled diners all over the world. 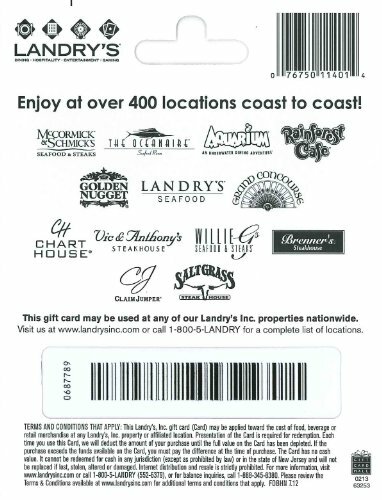 Redeemable at over 400 Landry’s, Inc. locations nationwide.